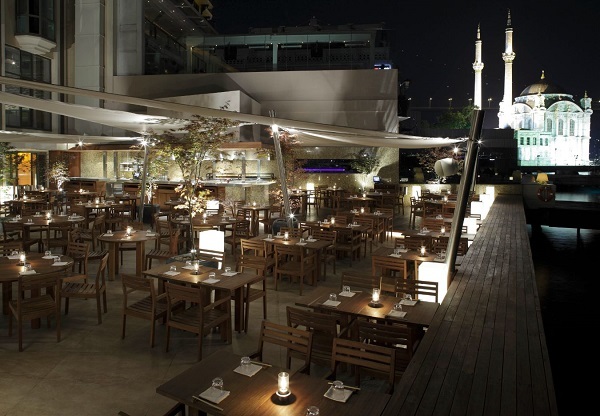 ZUMA brings a sophisticated and elegant dining experience to Istanbul. ZUMA brings a sophisticated and elegant dining experience to Istanbul. Already renowned in London, Dubai, Hong Kong, Miami, Bangkok and Abu Dhabi, ZUMA offers a contemporary representation of the informal Japanese dining style, izakaya. Respecting he traditions of Japanese food culture, ZUMA brings the authentic flavors and textures of Japanese cuisine and delivers them – ZUMA Style. Ortaköy, a name, which literally means “village in the middle”, is a prestigious location on the European shore of Istanbul. The restaurant enjoys uninterrupted views of the eclectic-baroque Ortaköy mosque that in the evening appears to float upon the waters of the sea and continues with panoramic views of the Bosphorus bridge to the Asian shore. Special Meals : Seabass Sashimi, Crispy Fried Squid, Barley Miso Marinated Baby Chicken, Miso Marinated Black Cod, Grilled Lamb Cutlets with Korean Spices, Spicy Beef, Sushi Selection.